I own 4 dogs, 3 female Min Pins and. 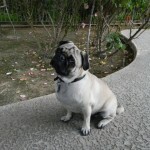 Male Pug. On of my Girls is a debetic. Her mother was also diabetic and I lost her to the disease 3 years ago. When Helen started showing sings and then tested positive I was devastated. So I decided to learn as much as I could about how nutrition, exercise and eating habits affected the diabetes. I wAs lucky enough to get accepted to a 2 year studied conducted at a major university. They supplied me with the types of diets that would work including a prescription food that is really expensive, the acceptable commercial food or to make my own. So My goal was to be able to feed all my dogs the same thing. So I have done that for over 4 years. Living in a tiny community creates a unique problem trying to find the things I needed for my pets. I am always looking on the internet to try and improve on what I can do for my dogs. 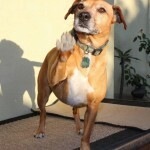 I stumbled on the JustFoodsForDogs web page a few weeks ago. What got me really excited is that they share their recipes right down to the proper supplements. I called them late on a Saturday night and they called me back on a Sunday no less. 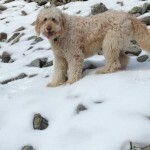 I talked at length with a nutritionist about my needs and we came up with a plan so I can feed all me dogs the same while making sure my little Helen can live as normal as a life as possible. I ordered the DIY kits that were suggested and I have been cooking up a storm. It’s nice to be able to make the food because of the number of dogs I have. I cook enough for the month and needless to say I am saving money and my dogs where excited to get a better tasting menu than what the have had in the past. These people at JF4D are well informed and helpful. 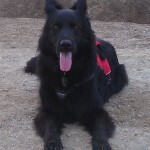 They shared all the things I need to keep my pack healthy and happy. They make it nice to do business with them. Other fresh food companies will not share there recipes and are insulted if you ask. It has been a long battle trying to keep my fur babies happy and I found the mother load with Just Food for Dogs. The diy kits cost about 20 bucks ad come complete with the recipe and have enough of the vitamins and supplements to make close to 30 ponds. That is just the amount of food I need for a month. Thanks you guys for all your help. You are tops in my book and I am sending everybody I know that has a pet to your web site. 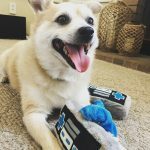 No more allergy flare ups since JustFoodForDogs! After we rescued Loki we quickly learned he had many medical issues. We spent several trips to the vets for allergy flare ups not matter what precautions we took. He had allergy tests done and even went through a series of treatments for them. Last year he had pancreatitis three times. Twice within months of each other. His last round of pancreatitis left him in the hospital for a few days. 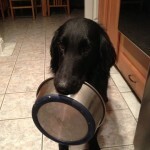 The vets recommended JustFoodForDogs to us and informed us Loki seemed to like the food while there. Loki has been on the Balanced Remedy diet since October of last year and hasn't had any allergy flare ups and has only visited the vet for his annual check up. We were use to vet visits every other month. Loki has never paid much attention to his food before and now he will carry his bowl to us when he knows it dinner time. 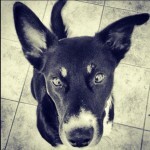 Loki loves his JustFoodForDogs and we love how much healthier and better he feels. Thanks! We have a 2 year old Golden Retriever, Barney, and he gave up eating about 6 months ago and lost a considerable amount of weight. We took him to the vet, and after many test, she couldn't find anything wrong with Barney other than he just didn't like his food anymore. We researched JFFD's and decided to give it a try. What did we have to lose? We received the DIY food and made the first batch, oh my goodness, we never seen Barney eat so well. We took him back to the vet and he had gained 5 lbs. in 4 weeks. Just Food For Dogs saved our Barney's life. We can't thank you enough!!! We have our Boingo back! 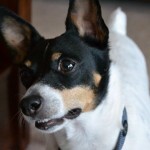 Boingo is doing so much better with the nutrition he is getting from JustFoodForDogs! He was diagnosed with Diabetes and also became blind from cataracts because of the high glucose. Cataracts surgery by the extraordinary Dr. Chang at VCA West Los Angeles Animal Hospital has restored his sight, and JFFD has restored his health and energy. We have our Boingo back! Thank you all so very much. You are the best! 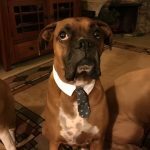 My boxer Koda has never been healthier. He threw up a lot and had bouts of pancreatitis along with skin irritations. Not anymore! 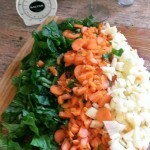 JustFoodForDogs has eliminated all that. His coat looks beautiful, he has no more pancreatitis and he is happy and healthy. This is an awesome product! JFFD DIY Kits Are Awesome! 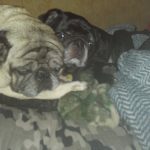 Bought the diy kits and having been making my pugs food for about a month now and me and them couldnt be more happier. I finally feel good about what we are feeding our babies and they absolutely love it. 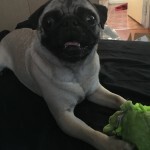 My Dog is happy again! Awesome dog treats, awesome dog food and super helpful staff. My dog usually will throw up any dog food I ever feed her and my vet was no help with changing foods. So I decided to try this place on my own, I started with dog treats here a while ago and she had no problem with those so I decided to try their food after endless tries with other brands. They gave me a sample of the lamb mix which she did great with then I got the DIY kit of the lamb and she has been happy ever since! No more throwing up her food and she has way more energy and just seems happier overall. Switching to this food was the best decision I ever made for my fur baby. I'm so happy my dog can be happy again!! Sunny is two years old and loves to eat!!! Because of your chicken breast treats we can treat her often and keep her happy and lean. Thank you!!!! 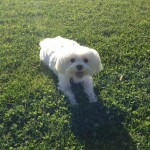 My Maltese Zoey is so picky. I cook for her once a week, rice, peas, sweet potatoes and chicken. After three years it is very tiring. I finally found a place that believes and follows the same recipes that I do for my dog. They go the extra mile by making sure the nutrients are still left in the food so Zoey gets a great meal and a healthy body. It's been a week and Zoey didn't eat for a day or two. After she tried the food she cleans her plate in minutes. My dog is the pickiest dog you will meet. If she loves it I am sure all dogs will love it. Keep up the great work and I hope your company continued success. Chloe and Dior have been eating JFFD since it opened in west Hollywood! 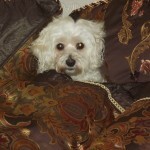 Dior's sensitive stomach problems disappeared within a couple weeks and Chloe's picky eating stopped. 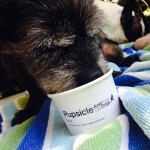 They love the food, treats and on hot days the PUPSICLES! They see those cups and go crazy. Dior finishes his and tries to sneak into Chloe's pupsicle cup. I attribute their great health to JFFD. Thank you so much for caring! 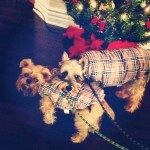 Dior and Chloe are the grateful dynamic duo! Wow! Bubbie just turned 15 and a half years old last week. Its been over a year since discovering Just Food for Dogs while on vacation in early May of 2014. I have had it shipped to Florida ever since. Her local vet, Dr. Timothy Porter said her bloodwork is great!!! I attribute much of her good health check to Just Food for Dogs providing the food she eats. Though she has difficulty seeing due to cataracts and is now pretty much deaf, the little girl out-walks me as I trail behind her. Each morning when I open the door and she runs outside I am joyfully amazed! I am also reminded that a poor diet almost took her life in January of 2014 ... luckily Dr. Porter was able to save her. Finding healthy food she would eat was a huge problem. 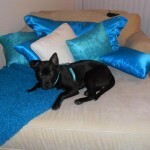 Thank you Just Food for Dogs ... finding you was a true blessing and I will be forever grateful! I remain hopeful as Bubs remains properly nourished! THANKS AGAIN!!! 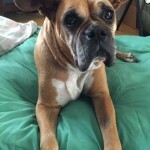 Gidget is another senior boxer girl who found herself alone and out of time at the high kill SEACCA shelter during the deadly week of 4th of July. Sachi Animal Rescue had gone to get two boxers and left with all 5 in need. Her sad snow face and flying nun ears had us at hello. She was released on a medical waiver and went straight to our vet. She was treated for a UTI and then underwent surgery to remove a mammary tumor and get spayed and the dreaded wait for the biopsy results begun. Sadly, her tumor came back as malignant and further diagnostics broke our hearts. Her cancer has already spread to her lungs. We dried our tears and rolled up our rescue sleeves vowing to do what is best for our darling Gidgey girl and that is to shower her in love and comfort. 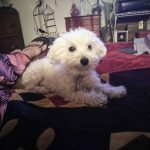 We have to remind ourselves that Gidget doesn't know her diagnosis and has much to teach us in her ability to just live gratefully in the moment. 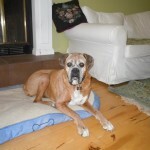 She is in a loving foster home and already feeling relief from treatment for her arthritis pain and a comfy ortho bed. She is relishing her Just Food for Dogs Neoplasia diet and not complaining about her supplements that we hope will slow the progress of the cancer. After spending her life neglected and used to make puppies over and over again, she deserves to know what it means to be loved, to be given the best life has to offer. We are always on the look out for healthy treats that the boys might like. We are so happy to have found you because they are now addicted to the Chicken Apple Bark ! Finally a treat they love and it is good for them. My two year old yellow lab Bear used to get awful rashes on his legs and paws. I went to many different vets to see what was wrong, but I always got the same prescription of medicine and antibiotic, which never seemed to help. I decided that it must be something in his food. Even after changing to a higher quality kibble I saw no difference.Then I discovered JFFD. After feeding it to my dog for a couple of weeks, I noticed his desire to itch/bite his paws was subsiding. Now, after a couple of months, he is totally healed! No more redness or irritation. He is now as healthy, happy, and playful as a two year old lab should be! Thank you for your amazing recipes, Bear and I definitely appreciate it! I have made my food for Zoey since she was a few months old. I have tried all the food out there like quality kibble and the raw diets and Zoey never seemed to like them. She would go for days without eating so I made my own rice with peas, carrots, chicken and sweet potato and she loved it. She got bored of the same ingredients though. With JustFoodForDogs she was picky at first and didn't eat for two days. When she finally ate she cleaned her plate. I bought a variety of different food and she loves them all, also she doesn't get bored of the food because of the variety. I am now a customer for life. I see the changes in the past few weeks with her fur feeling softer and she seems happier. The staff is very nice and they really do go the extra mile. The chicken breast treats were also the freshest I have ever seen and Zoey loves them to death. Thank you JustFoodForDogs staff, you should be proud of the quality products you produce and the extra years of life when can spend with our loving pets because of the quality health they will have. 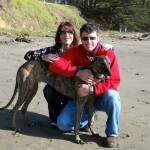 My beloved retired racing greyhound, Shadow, has been fighting an aggressive form of cancer. He has fought to stay with us through everything he always finds the strength to meet me at the door each day so we can walk at the park or beach. He is nearing the end of his race and had lost interest in eating until we found Just Food for Dogs. He GOBBLES his food which has given him the strength to keep enjoying his favorite activities. His quality of life is once again excellent now that he loves to eat again. Thank you for your work and kindness! It means so much to us all! She loves her JFFD food!! I think the service you provide is great/wonderful!! 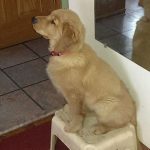 At 9 months my fur baby stopped eating her kibble, and I starting making her meals. 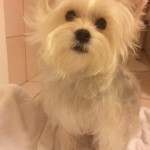 I have a Yorkie Terrier just over a year old. She's very picky and sometimes she wouldn't eat. I tried everything from adding a little yogurt, cottage cheese or something that I know she liked. My friend told me about your company and she bought a few items for me. My puppy is now eating all her food, without me having to hand feed her or coax her. I love that fact that I don't have to worry or think twice about what I'm feeding her, it's healthy and natural. I'm now giving her the Chicken/White Rice and Apple Bark treats, and she loves it all. I'll be trying your other recipes in the months to come. 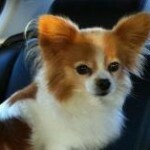 My lil girl Esmeralda thanks you also!! Words cannot describe adequately my sincere appreciation to you for cooking up such fine products! We came upon apple/chicken treats at the Canyon Store on a recent visit to the L.A. area. Bubbles loved it (she rarely likes eating much of anything). Her enthusiastic crunching is what drew us to visit the West Hollywood store where I purchased a few small frozen dinners for her to try. The staff could not have been friendlier or more helpful and accommodating…they went above and beyond providing useful information, etc. Again, she LOVED it! The last stop before LAX to board the plane to return home was a return to Just Food for Dogs at which time we stocked up (TSA had a field day). 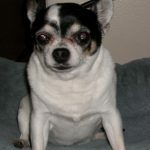 At age 14 years and 6 months, my precious poopsie is like a new doggie! Today, I placed my first order to be delivered to Florida. Your products are the best ever! THANK YOU!!! I have never seen my dogs more excited for meal time, even when they were on 100% raw! My Brussels Griffon licks his bowl for a good 10 minutes after everything is gone, then goes to his brother's bowl and does the same. We love this food! 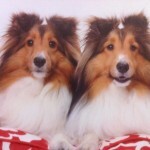 I started your home cooked diet using the JustFoodForDogs DIY kits last month.. My two shelties, Colt and Lady love it... Thank you JFFD !!!!! Gino loves his Balanced Remedy diet!! Thank you for all your help!! Patiently waiting for her JustFoodForDogs Lamb and rice! Charlie turns 2 today! Such great timing that you opened when we got him, as he has grown up eating your food. We would like to thank you for having such great food...we are sure that it has helped him to be strong, beautiful boy with a gorgeous coat! 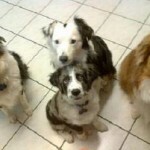 All four of our Aussie's absolutely love JustFoodForDogs treats. Here they are waiting for some now! DIY-ing JFFD chicken and rice recipe today in the Bay Area - yum! 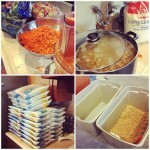 Dog food making day at our house! 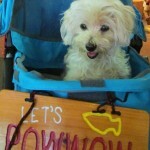 We love the JustFoodForDogs DIY kits!!! Dexter loves his Fish and Sweet Potato! Clique absolutely LOVES your turkey/black eyed peas/yams recipe. She's not a very quick eater, but she gobbles this up faster than any of your other recipes. She gives this recipe two paws up! Sami not only loves the Turkey and Macaroni but it has also cleared up her digestive issues and has helped her allergies. Thank you JFFDs, you are saving us $$$ on vet bills! Fresh! Healthy! 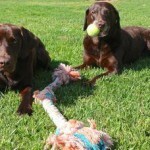 My Dogs LOVE it! 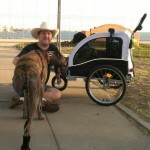 I am an owner of a luxury day camp, grooming and boarding facility in Dallas, Texas. 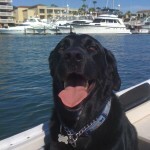 I so look forward to visiting Southern California (which I do often) and stopping in to Just Food For Dogs. 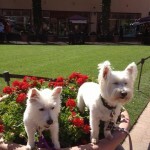 I have two West Highland Terriers and do they go CRAZY when I pull in to the parking lot. Fresh! Healthy! and my dogs LOVE it! Keep up the good work! JFFD's custom diets really work! 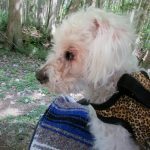 At the age of 15, Monty started showing loss of appetite and other signs of distress so we took him to the vet. 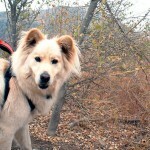 The diagnosis was kidney failure, which was causing toxins to build up in his system. 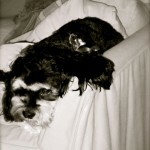 After reviewing the results of his bloodwork, JFFD developed a customized diet -- which ended up working like magic! 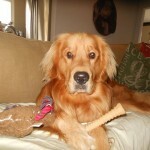 Monty got his appetite back, regained his strength and really started to enjoy life again. The disease was irreversible so we did eventually lose him six months later, but that's half a year with our wonderful dog that we wouldn't have had without JFFD. For that, we can never thank you enough! "I'm always looking for new ways to improve the health of my patients. 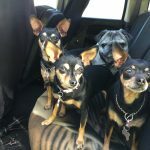 When I learned about JustFoodForDogs I was not only thrilled with the quality of their daily food but I was impressed with their ability to develop custom formulations of nutrients and food into recipes that address various health issues. 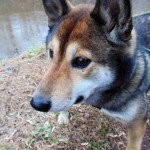 I feed my own dog a JFFD custom recipe to address his kidney disease." 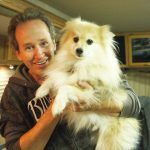 "For many years I have accepted the conventional wisdom that commercial dog food was the best feeding method. Recently, in an effort to achieve a healthy weight and a better coat for one of my own dogs I decided to go outside of my comfort zone. I learned about JustFoodForDogs and decided to put Daisy on the food. I can honestly say I have never seen such a dramatic and instant response from changing a food. Within weeks I saw a substantial improvement in her skin, coat, interest in food and vitality. I am so happy to have finally found something I can feel good about feeding her." 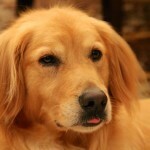 "When a dog is fighting cancer the advantages of a truly customized and palatable diet can be significant. The custom formulations JustFoodForDogs have developed for my patients are made from highly bio-available, whole food with precise nutrient compounding. This process gives us the ability to not only minimize simple carbohydrates in the diet but also potentially address other related or unrelated health issues." 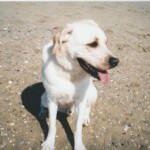 "My dog, Abigail, packed on the pounds over the last few years. I tried commercial low calorie diets, but she would not eat them, so she was continually hungry. 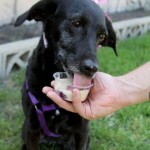 JustFoodForDogs formulated a low calorie, high volume custom diet for her. She loves the food, and the weight came off quickly. It was Jenny Craig for dogs. 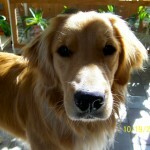 I highly recommend JustFoodForDogs!" Celebrating Polly Anna's 10th Birthday with a trip to Just Food for Dogs! I think she likes her pupsicle! 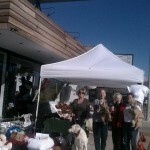 From the crew of Operation Blankets of Love, we thank you so very much for an amazing event! We truly appreciate your interest and involvement with Operation Blankets of Love. Much love from all of us. We are just trying your food for the first time - and Samson and Zoey have licked their bowls clean for their last two meals - don't get me wrong as labs - they have always loved their food - but I swear - they love your fish and sweet potato more than anything!!! Thanks so much! Henry is taking a nap after a delicious meal prepared by Just Food For Dogs! Ever since Henry began eating your food his coat is shiny, he has more energy, and he seems like an all around happier dog! Before Just Food for Dogs Henry had all kinds of problems with food making him sick and he refused to eat most of the time. Now he is happy and always finishes every bite! Thank you for changing Henry's life! We were just in last week and again today.....Edwin is a picky pug...he is 16 months old and I've had him for a year ....and I have to say in the last week and a half this is the first time I've actually seen him go right for the dish and clean it up...his fur seems softer and shinier already....I was very impressed with the knowledgeable and accommodating staff members, the great service you provided us. I live out of the area and I'm so happy to know that you ship anywhere. Edwin and I thank you. I will never go back to dry or canned dog food. I wont feed my baby the crappy parts of the chicken, or turkey etc that all the mainstream products have in them. Spending a little more on food will save a ton on vet bills in the future! I feel so great about feeding stella this food & always worth it! I have been feeding Huck your Chicken & Rice for almost 2 months now & he LOVES it!